Hello, My name is Luke Baldwin. I teach Applied Technology I and II here at Broad Run High School. 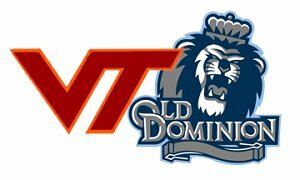 I attended Virginia Polytechnic University for undergraduate, and Old Dominion University for my Masters in Educational Administration. It is an honor for me to welcome your child into my Applied technology class for the 2011-12 school year. I am looking forward to the opportunity to help students learn to better function and thrive in this increasingly technical world we live in. Applied Technology is a class like no other in high school. Each student will be involved with academic studies and problem solving techniques as related to technology in our world. Additionally, it is my purpose to introduce an environment similar to the world of "work". In the "world of work", individuals must meet certain expectations in the work place.